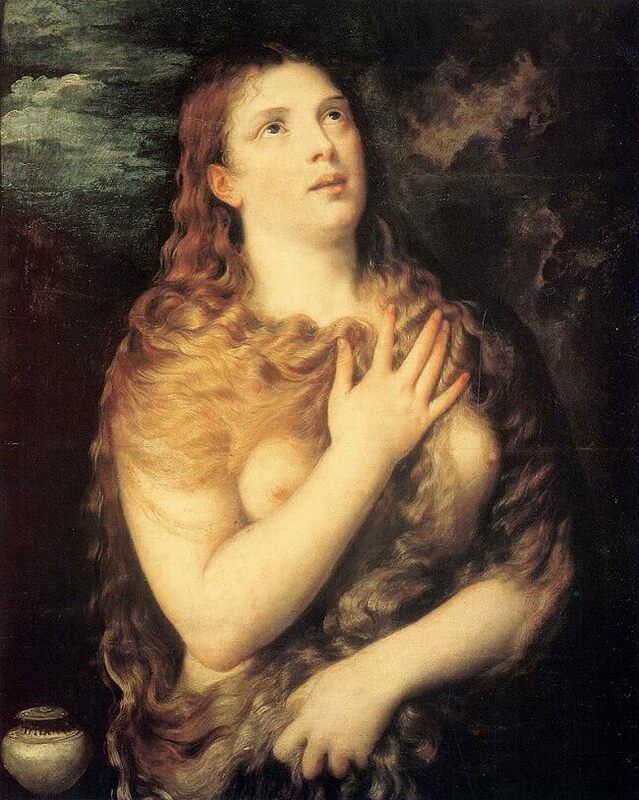 For fairly obvious reasons, this conception of the penitent Magdalen proved to be one of Titian's most popular inventions; many versions by the master himself - as well as studio replicas - are known, and date from diverse moments in Titian's career. 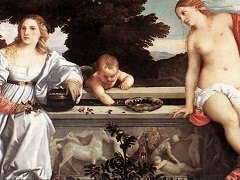 The example in the Palazzo Pitti, the earliest extant, comes from the collection of the duke of Urbino. The original idea, however, may have been occasioned in 1531 by a commission from Federico Gonzaga, who presented the now unidentifiable painting to Vittoria Colonna, Marchioness of Pescara and close friend of Michelangelo. 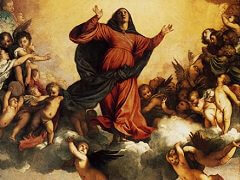 The duke of Mantua referred to the image as of a "fair woman, as tearful as possible," and in a letter of April 14, 1531, Titian describes the subject as having her hand to her breast and appealing to heaven for grace. Referring to a later version of the theme, executed for Philip II, Vasari writes with a certain relish of the Magdalen seen half-length, "disheveled, that is, with her hair falling about her shoulders and throat and over her breast; while she, lifting her head and fixing her gaze heavenward, exhibits her penitence in the redness of her eyes and the lamenting tears shed for her sins. The picture thus powerfully moves the beholder, and, what is more, although very beautiful, it moves not to lust but to compassion." 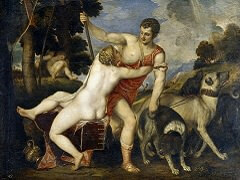 The sensuality of the conception is matched by the richness of Titian's execution. The picture in Florence enjoys that special depth and clarity of illumination traditionally associated with painting on panel. 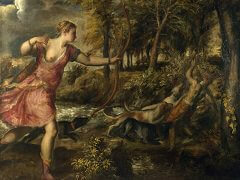 Its basic note is sounded by the extravagant waves of lush hair covering and revealing the body of the reformed sinner. 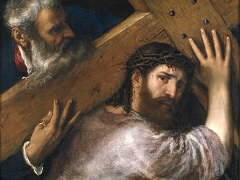 Indeed, the hair - a standard part of the iconography - evidently afforded Titian the opportunity for a technical challenge upon which he Javished particular care; the hair is not painted over the flesh, but rather is met by it. These golden tresses mediate the tonal range of the painting, from the warm cream of the flesh to the deep brown of the thinly painted hill in the right background - an array of warmth set offby the cloud-articulated field of deep blue sky in the upper left. 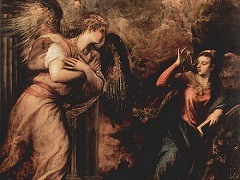 While the forms of the Magdalen's body - echoed by her ointment jar in the lower left corner - are revealed through the modesty of her covering gesture as is the physical truth of her sinful past, the trembling passion of her communion with the divine is signified by the rippling patterns of her radiant hair, its febrile motions conveying a state of fervent hope and nervous expectation.